Winner of the Squamish Chief Reader's Awards for Best Pasta and Best Place Place for A Wedding Reception. 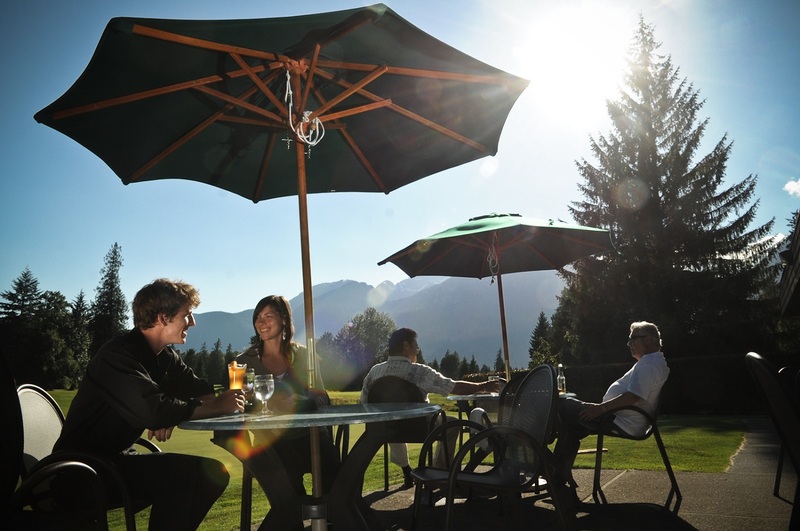 Open 7 days a week, the Clubhouse at the Squamish Valley Golf Club offers a wide range of elegant family-favourites including Bourbon Chicken, Pulled Pork Sandwiches, and the 19th Hole Burger, a house-made all beef patty on a toasted Ciabatta bun with smokey bacon, Havarti cheese, mushrooms, onions, lettuce and tomato. Plus, every Friday night is all-you-can-eat pasta night when adults eat for just $13.99 and kids pay according to their age up to age 12. (For example, a 4 year old eats for $4.99).